Hello from the Blue Zone in Costa Rica! 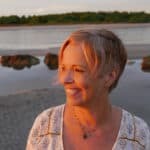 Psychic Medium Sally Rice shares information about the Blue Zone in this short video filmed in the jungle of the Nicoya Peninsula in Costa Rica – the heart of one of only 5 Blue Zones in the world. National Geographic Fellow, Dan Buettner founded the Blue Zones after studying populations around the globe, to discover the 5 areas where people live the longest and are leading happy fulfilling lives. Costa Rica’s north western Nicoya Peninsula is one these precious Blue Zones, along with Okinawa, Japan; Sardinia, Italy; Ikaria, Greece, and Loma Linda, California. In addition to the longevity of its citizens, who easily live beyond 100 years of age, there are other characteristics of this particular Blue Zone. Costa Rica has regularly been featured in numerous surveys as one of the happiest places, with the happiest people, on Earth! Beyond its healthy environment and happy people, Costa Rica is a lush, fertile country where nature dominates mankind. With the entire country’s population being just below 5 million residents, the vast majority of its citizens live in the surrounding areas of San Jose, the capital. In contrast to the over populated capital, the landscape of the Nicoya Peninsula is a vast, dense jungle overpopulated by fauna and flora, not humans. The lush jungle and concentrated animal and insect populations contribute to the oxygen levels and overall air quality which allows its citizens to thrive in a blissful environment where butterflies, monkeys, and sloths abound. The rich rainforests make Costa Rica feel like the original Garden of Eden. Come down to the Blue Zone on the Nicoya Peninsula and experience your own Heaven on Earth. Your soul and spirit will be glad you did! Welcome back to Agape, Costa Rica, and sallyricepsychic.com. Here we are in Guanacaste in front of this beautiful Matapalo tree full of spirits, and folklore. One of the stories says that there’s a witch that lives inside this tree, and she comes out at night, and if you don’t have a pure heart, or an authentic soul, she’ll take you away. Well, of course that’s not true. There are no evil spirits here in Costa Rica. Here we are in the Blue Zone, one of the most beautiful places on Gaia, and we are certainly in the closest thing to the Garden of Eden. Here in the Blue Zone people have a life expectancy of over 100 years. The Centenarians, as they are called live here, and thrive, and the people of Costa Rica are among the happiest, and the healthiest on planet Earth. The reason they call it the Blue Zone is because it’s a very concentrated area where we have a tremendously high population of animals, and insects, and natural life. The proportion of humans versus nature is less than 1%. The human here in this environment is very insignificant, nature dominates. That’s why the energy here is so light. Literally, when you come into Costa Rica you can feel the change in the atmosphere, and in the vibrational frequency. This is indeed Pura Vida. You can’t help, but feel healthier, you’re breathing deeper, you just have a sense of calm about you, because you’ve got loads of oxygen, you’ve got the ocean here, and so, much lush greenery, the forest, and the jungle that just are so conducive to optimal health, and hence the Blue Zone. Welcome, and hope you can come down and visit sometime. What a gorgeous, informative, soul moving video!! Thank you Sally ❤️ You have inspired me to spend more time back in Beautiful Costa Rica. Kelly you are right. Costa Rica is a healing center regardless of anything…you can’t go wrong here..you can only thrive. Dearest Sally, thank You kindly.What a pure, Lord created Place. One cannot help but come with It’s own authentic and pure heart.All the “layers” will be gone here.Looking forward to coming here, to let the soul fly. The wings are definitely here….Thank You……Costa Rica had entered our hearts already…. 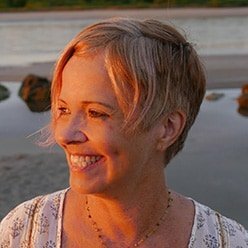 Sally Rice is a tested verified psychic medium who works with clients and writes insights and advice on meaningful life topics. Sally was my first reading/mediumship experience I had ever had. She immediately makes you feel very comfortable and is wonderful about explaining the process to you. I honestly can not say enough wonderful things about Sally and her amazing talent and work. If you have ever had the curiosity or yearning to delve into the spiritual world..START HERE!!! You will NOT be disappointed!!! Wow! Sally is one of the most amazing Psychics I know! She is my "go to" Psychic when I need answers. She delivers the messages in such a powerful way you can feel the connection she has to the Spirit World! The details she provides are so clear. Her accuracy rate is unbelievable. I will definitely be using her services again!